KIEV (Reuters) - The Chocolate King is finding it difficult to relinquish his throne. In October, Novoye Vremya, a Ukrainian magazine, estimated that Poroshenko was worth $816 million (£518.8 million) and ranked him 9th among the top 100 richest Ukrainians. 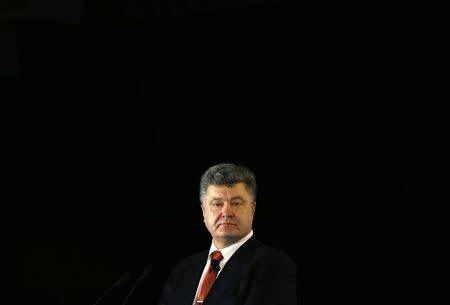 In a disclosure statement he filed with the government, Poroshenko reported that in 2013 his income totaled about $6.3 million, largely from the sale of securities, dividends and interest. He reported a salary of just $29,200. Some of Poroshenko’s predecessors have been accused of using the office of president to enrich themselves. Ukrainian prosecutors allege that Viktor Yanukovich, who fled to Russia in February, left the country with billions of dollars. He has denied any wrongdoing. Several investment bankers who specialize in the consumer market expressed scepticism in recent interviews that any company would invest in a Ukrainian company like Roshen, given the country's current political climate. 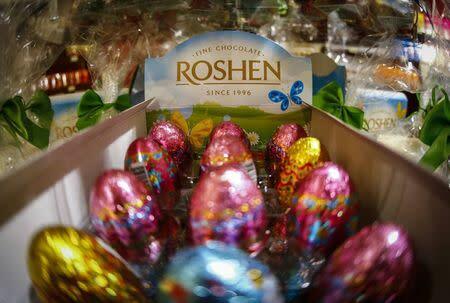 Many weren't even monitoring the potential sale of Roshen, with one saying he was "not sure it is actually real." Two potential buyers who already do business in Ukraine – Switzerland's Nestle SA and Cadbury's U.S. parent, Mondelez International Inc – both declined to comment. 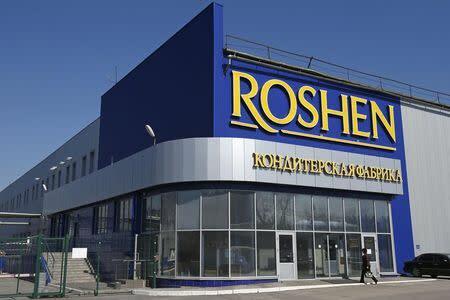 Roshen, which operates six factories in four different countries as well as a chain of upscale retail shops, derives its name from the two middle syllables of Poroshenko's surname. Despite the president's nickname – the Chocolate King – Roshen also manufactures cakes, hard candies, toffee, biscuits and numerous other non-chocolate treats. He said although the company is still profitable, sales in the first 10 months of this year totaled $640 million, down 35 percent from last year. He said the company has lost a total of about $4 million a month in sales in eastern Ukraine due to the war and in Crimea, which Russia annexed in March. Its costs for raw materials have sky-rocketed in part due to Ukraine's plunging currency.